What are the most recommended materials to control environmental mastitis in the farm? What are the key factors for a correct bedding maintenance? What can we do to improve the health status? Doctor Luis Pinho, worldwide recognized expert in mastitis in cattle is answering here to all these questions so you can create a successful bedding management programme. Luis Pinho is a dairy veterinary consultant. 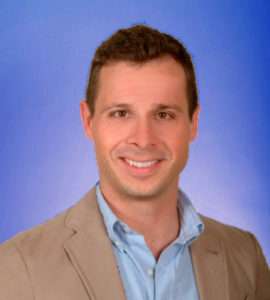 He has many years of experience in milk quality and is currently an assistant professor at the Institute for the Biomedical Sciences Abel Salazar (ICBAS) at the University of Porto. What’s the most used bedding material in Portugal and in Brazil? Why? In mainland Portugal, sawdust, plain or mixed with lime, over mattresses is the material of choice. The use of compost barns, especially for dry cows and heifers, is increasing and will probably be more common in the coming years. In the Azores islands, the majority of the farms operate a pasture system with field rotation. In Brazil, sand is the main material used for freestalls. For those farms with a freestall barn system, compost is the main type of bedding used for lactating cows, dry cows and heifers. However, there are a lot of farms using a mixed system of grazing/drylot which becomes very damp and difficult to scrape in the rainy season. Sand bedding (on the left) is the inorganic material for excellence. It’s very effective for controlling environmental pathogens. 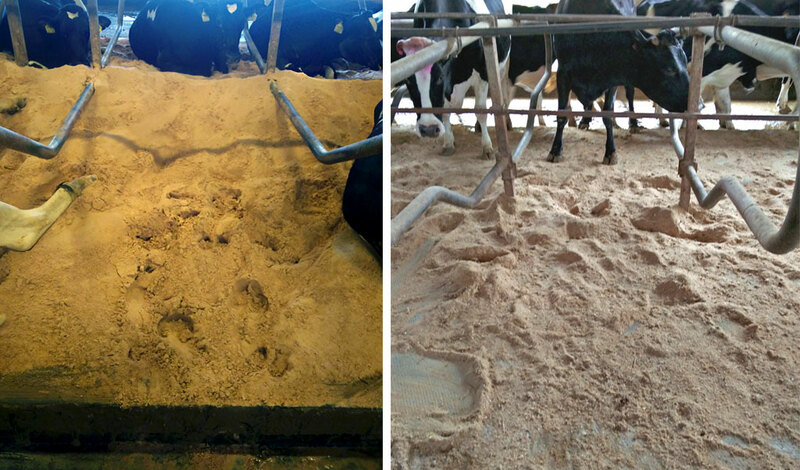 Sawdust bedding (on the right) is an organic material and is being used more and more in dairy farms. What are your recommendations regarding bedding maintenance in terms of the materials? As for every freestall, daily maintenance (twice or three times/day) according to the number of milkings is essential. When using sawdust, my recommendation is to supply, on a weekly basis, enough at the front of the bed so that it can be pulled towards the final third of the mattresses during daily cleaning. When using box-type cubicles, the amount of sawdust used must ensure that the cow is not deep in the cubicle and that the wet material is removed as far as possible at every cleaning, and dry sawdust should be pulled from the front to the rear. Regarding pasture systems, the only concern is to ensure that there is enough rotation of the pasture to avoid overcrowding and trampling of resting areas. One of the main requirements for sand is for it to have the minimum amount of organic matter possible when fresh. The best sand is sea sand, but it is not always available. As for daily maintenance, the recommendation for sand is for organic matter to be removed from the final third and for the dry sand to be pulled from the front to the rear, ensuring that it is levelled along the cubicle. This is done either manually or mechanically with scrapers. Can you give us 5 key success factors for creating a bed management programme to help our readers to control environmental mastitis? Remove wet bedding from the final third of each cubicle at least twice a day. Ensure that there is enough material in the beds to keep the cows dry. Ensure that the material is comfortable and conducive to cows lying down and getting up without injuries. The material should be available in sufficient quantity and at an affordable price in the vicinity of the farm. Easy to manage at every milking. Success stories about Mastitis vaccination: What are the economic benefits? Bovine Mastitis worlwide: Are direct costs and prevention strategies similar from one country to another?